Our beautiful and well-maintained cottages are conveniently available for rent from May to October, either weekly or nightly. Cottage 5 is only available for full season rentals. 2 bedrooms (a single-over-double bunk bed in one and a double bed in the other). This waterfront cottage is close to the beach and playground. Deluxe 2 bedrooms (1 queen in one bedroom, 1 double bed and 1 single-over-double bunk bed in the other), large kitchen and living room, and waterfront with deck overlooking the Bay. 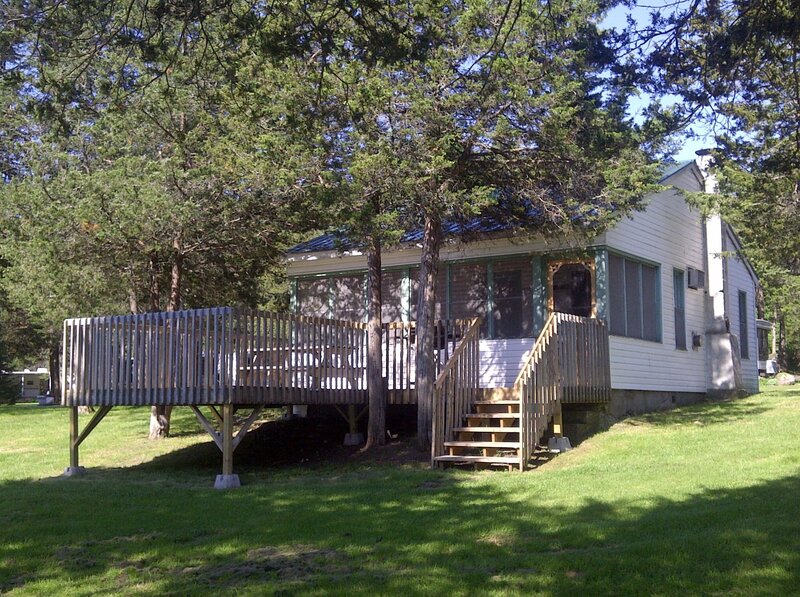 This 2-bedroom cottage features a large L-shaped deck with a 10x16 sunroom and a stone's throw away from the water. This cottage is fully equipped as previously mentioned and also includes satellite TV, dishwasher, shower, private dock, queen bed in Master bedroom, and double bed in the other.